Why is it you never realise how much you like something until you can’t have it? While on holidays in Lithuania recently I found myself longing for green vegetables. 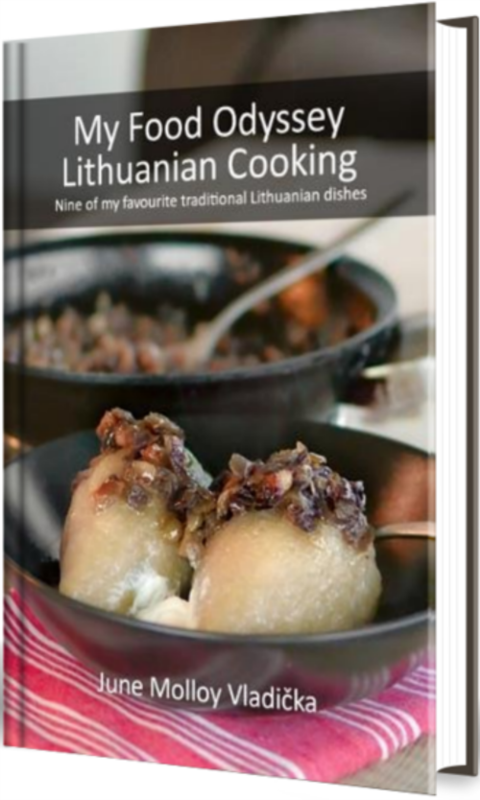 Because Lithuania tends to rely mostly on home-grown foods (a good thing, I might add), the selection of vegetables available in winter is quite limited – carrots, potatoes, onions and white cabbage are staples, along with preserved vegetables such as picked mushrooms or cucumbers. Vegetables that I eat every day at home and consider to be staples, such as rocket and spinach, are simply nowhere to be seen. While I was enjoying the food I was eating, after a few days I found myself hankering for greens. The best I could muster was frozen peas. Frozen peas are probably the best frozen vegetable you can eat. Because they are frozen so soon after picking they are often more nutritious and delicious that fresh peas. I made a sumptuous pea and pork belly soup, which both satisfied my craving for greens and made me very popular with the family! It got me thinking about the humble pea and how delicious and versatile they can be. When we got home we bought some fresh fish (also a rarity in Lithuania) and I decided to make a pea puree to go with it. It was very simple – some frozen peas and a few cloves of garlic blanched in boiling water for about two minutes, then blitzed in a food processor with a splash of cream, a pinch of salt and a grind of pepper. You can make it as runny and soft as you like simply by adding more cream. (The peas themselves are quite creamy, so not much added cream is needed.) I served this with some grilled, crisp-skinned salmon and some home fries – it was absolutely divine. Fish, chips and mushy peas is hardly a revelation, but it seemed to reach new heights. We had some of the pea puree left over, so the next day I decided to use it as a sort of hummus. After all, peas and chickpeas are both from the legume family, so why not? I spread it thickly on a slice of warm, toasted sourdough and sprinkled on a few anchovies. The salty anchovies go so well with the sweetness of the peas, and with the warmth coming through from the toast, the result was sublime. Peas and fish. It’s true – absence really does make the heart grow fonder.